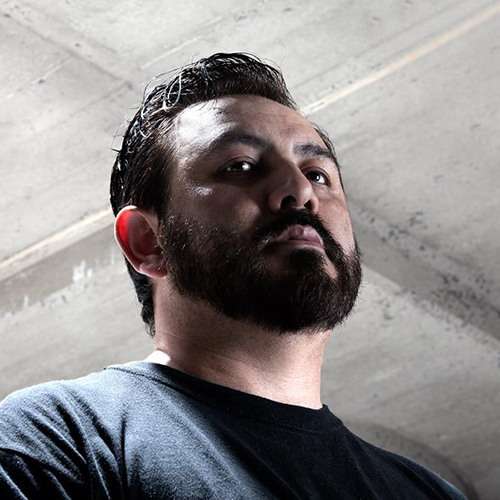 Seeking refuge in post punk electronic music and the underground music scene of Los Angeles, David Alvarado built the foundation of a career with blood, sweat, and tears. A career that now spans over 20 years, molded by gang violence, renegade parties, and personal tragedy, he was discovered by Plus 8 Records founders Richie Hawtin and John Acquaviva in the early 90’s. David has gone on to record with some of the worlds most respected electronic music labels such as Peacefrog, Plastic City, Ovum, Ultra Music, and Strictly Rhythm. His dark, hard hitting, driving, soulful sound created a reputation that still precedes him decades later. Always passionate and uncompromising as an artist, he continues to cut his own path still today. Relentless in his desire to explore new territory creatively, he continues pushing, provoking, and inspiring, while never forgetting his roots and his past.